Sign up below to receive your FREE digital Kayak Winter 2019 issue devoted to Great Women of Canada. There are so many amazing women who have helped shape our country. Often their stories have been ignored, or more importance has been given to the men they may have worked alongside. But this issue of Kayak is all about these women who made Canada what it is today. Well, some of them. The hardest part about producing this issue is that we couldn’t possibly fit all of the notable women from the past into these pages. We had to leave many fabulous females out of this issue, but never fear! Your students can always search them out themselves, and we’ll continue to include women and their achievements in every magazine we put together. 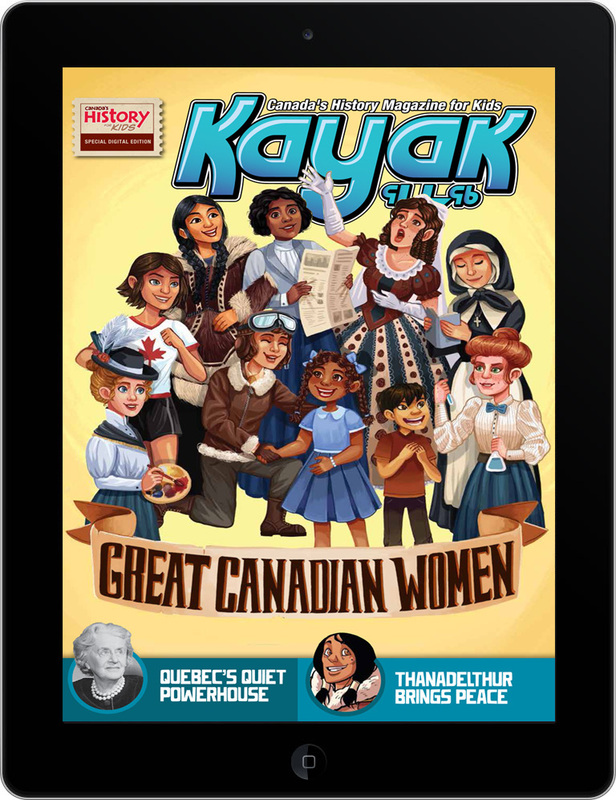 Kayak’s Great Women of Canada issue is aimed at Grades 2–7.